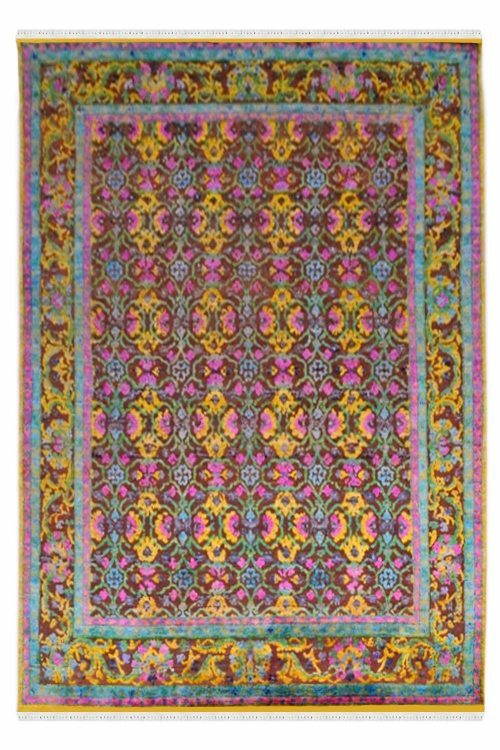 Place this beautiful sari silk carpet in your living area and impressed your guest. 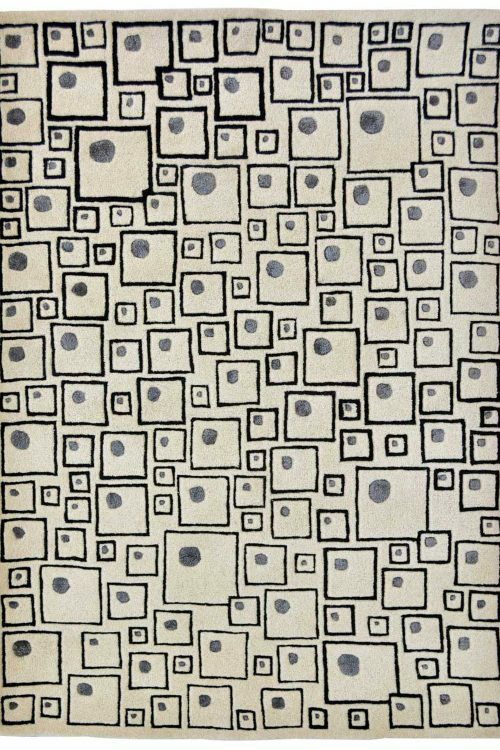 This is the best carpet for creating a focal point in your house. You can also use this as a wall hanging. 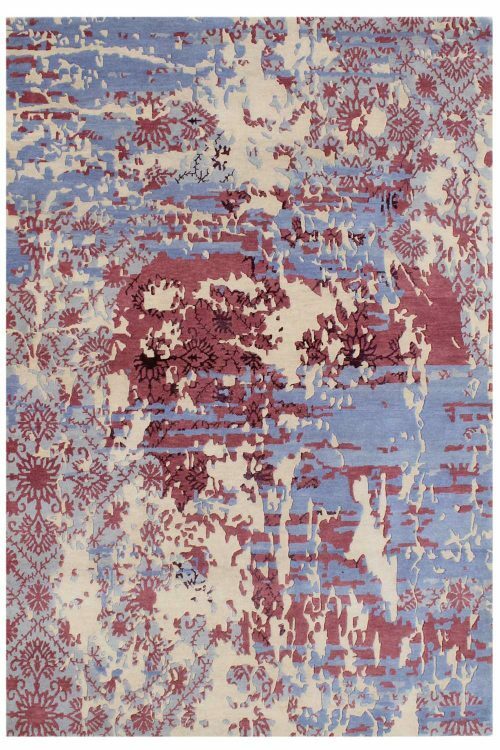 The foundation of this Sari Silk rug on Cotton material. 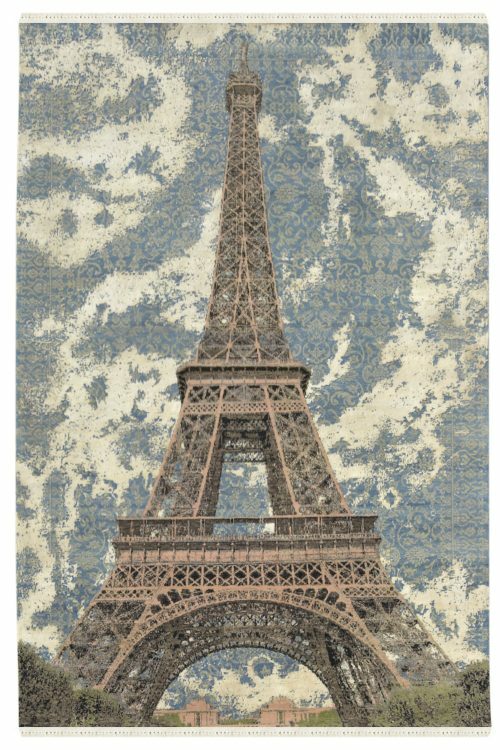 It took about 4 Months to meticulously weave this piece. 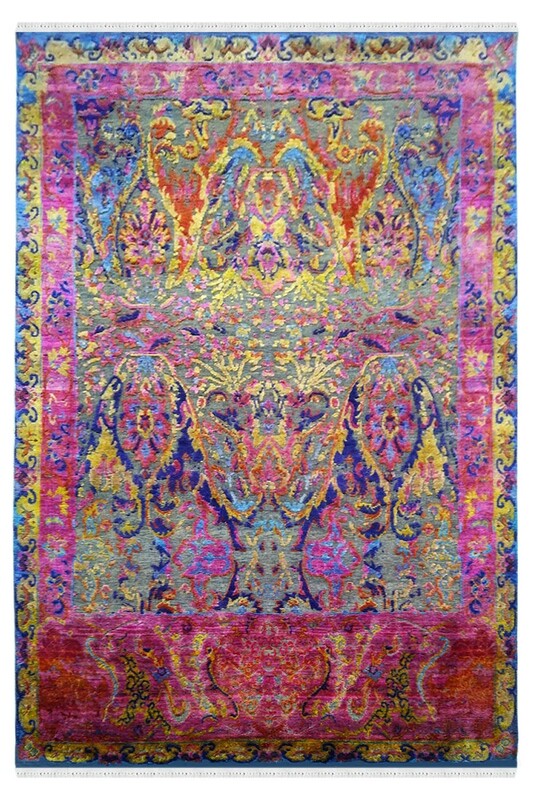 This wonderful Hand-Knotted Modern & Contemporary Masterpiece was made recently. This particular carpet will enhance your interior decor and bring back a Trendy look to your home. The main colors are pink and blue. The ground is in blue and design in pink color.